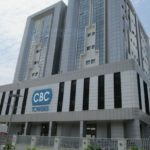 Ikeja is one of the major districts in Lagos state and it is home to notable health and beauty facilities one of which are spas. In this post, we take a look at the 5 best spas in Ikeja. Ninna Bella Spa is one of the major spas in Ikeja. It is located off Toyin Street and the spa is known for its professional service when it comes to massage therapies. Also, the spa offers a comprehensive range of services, some of which include facial treatments, relaxation massage, Swedish massage, deep tissue massage, sensual massage and other therapeutic treatments such as Indian head massage. As a result of this wide range of services, Ninna Bella is suited to virtually every type of client irrespective of individual specific preferences. Apart from the body treatments at Ninna Bella, there are also make-up training, make-up service, pedicure, manicure and hair saloon services. Overall, if you’re looking for a spa in the Ikeja area with excellent service and affordable price, Ninna Bella should be one of the spas on your list as they are known to deliver value that you can trust. Established in 2014, Grey and Glow is a natural beauty spa providing high-end spa treatment services using natural and herbal skincare products. Bioviva is another popular spa located in Ikeja. The spa is known for its distinct services which include the unique medical skincare and spa treatments which blends African herbs, Oriental and Western technology to produce outstanding results. The spa was set up with the vision to be a leading and highly recommended wellness centre in Africa and all over the world. Bioviva is known to customize treatments for clients and the spa has over 10 years’ experience of exceptional service delivery and the spa has a vast clientele spread all over Nigeria, UK, Ghana, South Africa, Germany and USA. The spa is a member of the guild of beauty therapist in the United Kingdom which is a membership that ensures beauty centres maintain only international standards of services. BNatural is a medical spa that is well known for its top notch service. It is the first Nigerian first medical spa and laser centre. The centre provides professional spa services with US board certified medical staff and medical grade products. BNatural is also known to offer the most advanced cosmetics laser and skin treatments using the latest approved skincare technology, technical medical expertise with ongoing skincare management. The service delivered at BNatural is often tailored to meet the varying needs of each client which leads to the delivery of satisfactory and outstanding results. BNatural has 4 locations across Nigeria where it provides luxurious medical spa servic specializing in innovative medical services and beauty treatments administered by US board certified aestheticians. Each spa location offers calm and sensory experiences and all of these spas feature Nigeria’s first Morrocan Hammam. Bnatural is also the exclusive partner and distributor of luxury skincare brand Germaine DeCapuccini. The services include Spa, Facials, Massage, Manicure-Pedicure, Hair, Make-up, Morroccan Hamman and many more. The medical spa sevices include: Botox, Peels, Cosmetics, Dermal Fillers, Meso-therapy, PRP Therapy, PDO Threads, Skin lightening, Medical Weight loss, Bioreparation, Biorevitalisation and more. Biyou is another spa in the Ikeja area of Lagos particularly known for its facials treatment. There is the basic facial treatment which involves exfoliation and cleansing followed by a gentle lymphatic massage. Below are some of the amazing treatment packages offered by the Biyou Spa. Fat Buster: This treatment is a combination of various herbal steam therapy, heat diathermy, G5 massage and a faradic machine to breakdown fat & reduce weight. The Bridal: This treatment begins 1 – 3 months before the wedding, depending on the needs of the bride. It includes customised weight loss management programme, customised weekly body scrub and facial/peel to brighten & even the skintone concludes with a deep tissue massage to relieve & ease stress. There is also a treatment that is done 1 to 3 months before the wedding. This treatment is a tailored skin care and nutrition therapy. Apart from these top 5 spas, another spa that you can visit in Ikeja that is also quite good is the Glamour Lounge Salon and Spa. 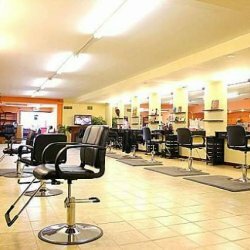 This facility is a contemporary salon & spa dedicated to providing exceptional salon and spa services. The centre is known to go the extra mile to create a memorable personal experience for each client through exceptional, pleasurable occasions tailor made for our clients. 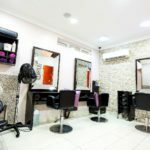 Overall, the services offered at Glamour Lounge Salon & Spa are quite top notch and they are aimed at restoring, reviving and replenishing the beauty of their clients using a unique menu of international treatments.